Hold onto your seats, do not take a sip of coffee as you might spit it out, but I am going to say something that might infuriate you. That you will think is ludicrous. That you will not understand. Until you read to the end of the blog. Arsenal should sign Mario Gomez. But he is exactly like Olivier Giroud. Slow, a slow lumbering lamppost you all cry. And that is exactly why I want him. Look at France in Euro 2016. Alexandre Lacazette was left at home. Anthony Martial played just 69 minutes. They set up to get the best out of their best player, Antoine Griezmann. And they did that by giving him a big man to play off of – Olivier Giroud. The key was what they had on the bench though. Rather than having something different, which would ultimately change the shape of the team, they had a Giroud clone in André-Pierre Gignac. Despite Gignac now playing in Mexico, Didier Dechamps recognised that Giroud would have to be replaced after 70 minutes. And rather replace him with Lacazette, forcing him to change the shape of the time, he could replace him with Gignac, and keep the tactical direction the same. Arsenal could easily mimic this were they to sign Mario Gomez. Alex Sanchez and the new right winger need to both play closer inside, closer to Giroud. Making themselves available for his knock downs. And providing that pace in behind that Giroud lacks. But we all know Giroud has his off days. Where he performs like a Conference player. And he should be pulled off after 55-60 minutes. Currently you take him off and with the options on the bench (including when Welbeck Is fit) you have to change the set up of the team. Having Gomez on the bench would enable us to take Giroud off, or even drop him to the bench when things are not going well and he is going through a rough spell of games, and bring on a near identical player who can do everything he can just as well. Whilst keeping the team shape, and ensuring the team is still focused on how to get the best out of Alexis Sanchez. Look at Mario Gomez for Germany. He has 29 goals in 68 games, including 2 at Euro 2016. He is there to lead the line, to bring others in. Over the years, the likes of Thomas Muller, Marco Rues, Julian Draxler, Mario Gomez have benefited from him being the pivot, the battering ram, for them to play around. It is a job he is good at. It was only a couple of years ago that Gomez was at Bayern Munich, banging them in. 75 goals in 115 Bundesliga games. His career stalled in Serie A, but at Besiktas he has refound his touch with 26 in 33. OK it is the Turkish leader, but as Jamie Vardy has shown, scoring goals is scoring goals, And a goal scorer can do it no matter the level. I am not going to sit here and say Gomez is world class. He is not. But he would be brilliant as an “understudy” for Giroud. At 31 he brings experience and ability. Having the pair of them in the squad would give us good squad depth. With the issues currently in Turkey, Gomez has made it clear that he will not be making his loan deal permanent. This could mean Fiorentina would be looking to get him off their wage bill sharpish. A quick deal. A cheap deal. And in a world where average strikers are going for £30m+, a deal for under £10m for Mario Gomez would be a steal. Of course, our signings should not stop with Mario Gomez. I would be courting him with the expectation that we will then spend big on a right winger. If you are signing Gomez to play 2nd fiddle to Giroud, who’s job it is to bring the wide forwards into play, you then need to have wide forwards of the highest quality. We already have Alexis Sanchez, we then need to make a signing on the right of a similar stature. 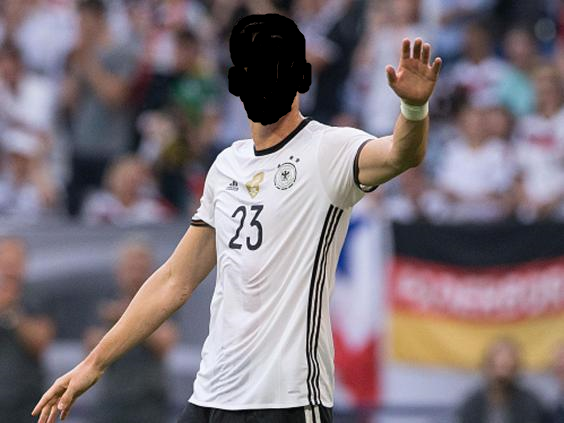 A Riyad Mahrez or Julian Draxler. I would also still look to sign a pacey striker. Someone who does give us a different option up top. Maybe not a Lacazette, but the level down, a Ben Yedder perhaps. Some might see signing Mario Gomez as a bit of a backwards step. At best a sideways step. If you are looking at the individual player, than yes, that is perhaps correct, but if you look at the team as a whole, having Gomez on the bench would be an asset. This entry was posted in Arsenal and tagged Arsenal, Mario Gomez, She Wore, She Wore A Yellow Ribbon on July 29, 2016 by keenosafc. wonderful piece, I bet you we never saw it this way. Thumbs up. wonderful piece. a good read. I was always wished that the CF from Germany we were reading about was Gomez! Having on your bench the CF of Germany’s National Team is 20 times better than having Lacazzete, I believe that a healthy Gomez could score 15-20 goals easily with Arsenal and his team mate Ozil at his back.